We are all extremely busy, aren’t we? Between taking care of our families, running errands, going to soccer games during the week and football games during the weekend, it seems as if we’re always on the go, and always looking out for the needs of others. This month, though, I ask you to take time for yourself. Take 15 minutes. That’s all. Because that’s about all the time that you’ll need to get your annual (we hope) mammogram checkup. October, as you know, is breast cancer awareness month, but frankly, every month is breast cancer awareness month. 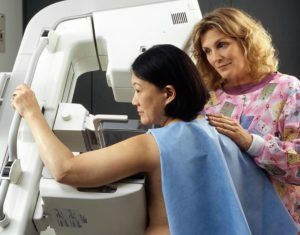 Because you shouldn’t wait until your annual mammogram to check your breasts for anything that doesn’t look right. Although breast cancer in men is rare, an estimated 2,470 men will be diagnosed with breast cancer, and approximately 460 will die each year. The good news? The NBCF says more than 3.3 million breast cancer survivors are alive in the United States today. Look, we’re women and we instinctively take care of everyone else before we take care of ourselves. But this month, especially, it’s time to take time for yourself. Call your doctor, visit a mobile mammogram unit or stop by your local clinic. It takes 15 minutes. It’s a small investment in yourself, that can make a big difference to you and your family.